For many atheists and freethinkers around the world it can be difficult to understand why religion persists so tenaciously into the 21st century. There is a copious amount of material available to us that do an excellent job at debunking religious claims, yet religious thinking remains impenetrable. 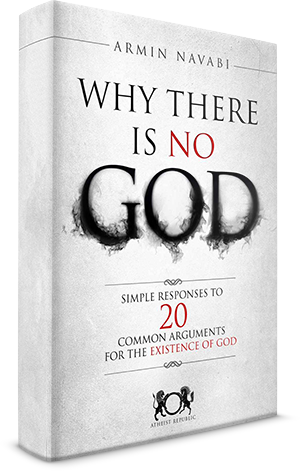 The evidence of a god or gods is lacking in often glaringly apparent ways, but many people still choose to shirk reality in favor of the mystical. So it stands to reason that many of us would come to ask why that might be and what we might learn in understanding the possible solution(s) to such an inquiry. There are many obvious factors that we can attribute to the voracity of religion and its followers. Modern day culture, societal norms, and language name a few that are at work today. However we cannot forget the past, in which religion was disbursed by means of empire over the last one thousand years, and by extension the rote displacement of native cultures all around the world. These all have a level of validity in answering our questions but I feel that they are merely surface-level symptoms of an infection that is rooted much deeper. So, what can serve as a viable explanation? Well, I think that would be what is known as the “meme complex”. This is in no way comprehensive or the “end all” solution to the subject. I am of the opinion that meme complexes best explain the behaviors we see in the religious throughout our history and in modern times. This is designed to be a brief introduction to a massive field of understanding. What is a Meme Complex? First, it is important to understand what a meme is. Anyone connected to social media in anyway is familiar with one definition of a meme. The most common memes we encounter every day are the repeated use of a single photo that can have different text amended to it. Examples include Grumpy Cat, Good Guy Greg, images from the 1960’s Spider-man cartoon, and countless others. These memes are introduced to the internet and spread like wildfire with ease. There are websites devoted to providing the basic image as a template to which you can add your own text so that literally anyone with basic computer skills can make their own version of the meme. Take note of how infectious these pictures become and how many of us are greatly familiar with them. That’s an important comparison to keep in mind. I would pay particular attention to the comparison made to genes. This gives us some preliminary insight as to what we are dealing with. Essentially just about anything in life can be understood as a meme. Political ideologies, our primary and subsequent subcultures based on where we live, and religion all fall in this category. It stands to reason, then, that a meme complex is composed of a network of memes that work together in some fashion. You can begin to see then how prevalent memes truly are, and how meme complexes are integrated parts of our everyday lives. Think of your high school clique, your business environment, the people within your chosen degree department at a university, or music community you are a part of. Each is composed of particular ideas, or memes, that work in concert to reinforce the primary ideas that serve as the foundation for each culture and ideology. Religion is probably one of the oldest meme complexes in the world. Evidence shows that the Neanderthals of 50,000 years ago possessed ritualistic burial behavior that probably could be seen as the beginning of later religious funerary practices. The ancient Sumerians from 6,000 years ago had a rich religious culture and hierarchy that is still studied with fervor today and serves as the basis for countless science fiction and fantasy novels. When one analyzes the various aspects of religion in both historical and modern contexts it can be plain to see that we are dealing with thoroughly elaborate meme complexes with lengthy histories from which to draw on. When taken in its entirety, religious meme complexes can be difficult to dissect in order to reach the smaller parts that comprise the whole. That’s where our next task lies. Luckily for us, a very well written piece about meme complexes exists. Scott Bidstrup has written a thorough piece of work on the subject aptly entitled “The Mind Virus” that deals with Christianity as a meme complex. Bidstrup takes on the monumental task of breaking down the complex into its smaller parts and presents them in easily understood language. A quick note: though his piece deals specifically with Christianity it is in no way limited to Christianity alone; all other religions are subject to this line of reasoning as well. With that in mind, we will be talking about meme complexes using some terms specific to Christianity. Using Bidstrup’s writing as a guide, we will break it down so that we might understand its parts. Hopefully after all is said and done, you will not only have a better understanding as to why religion persists as it does, but have a greater grasp of the mindset of the religious person. Mind Games, Synergy, and Infection, Oh My! There is no meme complex more successful than religion. This is owed to what Bidstrup refers to as “weak mind games but strong synergy”. Christianity is loaded with memes that act as mind games, each of which are not very convincing or strong on its own. However, when you network them together and synergize them, they are incredibly powerful. Here, we will talk about the seven major memes / mind games that Bidstrup addresses, but I have no doubt that there are countless others that could be added to the list. All mind games listed below are individually weak and incapable of maintaining belief on its own; each requires the others in order to be effective. The first is all about the fantasies that come along with submitting to a religion like Christianity. Talk of holy spirits, feelings of warmth and comfort, and being convinced that one has actually communed with a higher being, are under the purview of this first mind game. As Bidstrup notes, this helps with recruitment in that it paints the Bible and belief therein as a positive experience. The would-be believer is drawn in by what the religion seems to offer on the surface. Vague definitions of what religious experiences are leaves the potential convert in charge of defining any experience they choose as proof of divine confirmation. Mind games two and three are restricting reinterpretation of the primary idea and conversion experience and altering the meaning of words, respectively. In the case of restricted reinterpretation, this means that once one is convinced they have had a deeply religious experience during the conversion process that reinterpretation of that experience is prohibited. The primary way this mind game is maintained is by the constant encouragement to doubt all evidence that would contradict the personal experience of conversion. In even simpler terms, after you think you’ve “communed with God” you cannot later reason that you wanted to experience something and that the warm, fuzzy feeling you felt was completely human in origin. Changing the meaning of words is important because the new definitions reinforce and solidify the religious experience. One example given by Bidstrup is the word “truth”, which is defined loosely as what is verifiable and real. The religious redefining of truth becomes that which is revealed to the practitioner by the “Holy Spirit”. Mind game four is an undermining of ethics and morality. Christianity, and other major religions, claims to be a religion of love and peace and they maintain that image outwardly. In reality, the Bible and Christian sects all require that their followers hate some group or another to be considered “truly Christian”, and thereby “truly” moral. By subverting the morality of a believer or potential believer, you can get them to endorse ideas they normally wouldn’t prescribe to themselves. It is of vital importance that the believer is convinced of their moral and ethical high ground afforded them by Christianity. Otherwise they would see the hateful ideologies for what they are and would “deconvert”. The example that stands out most is when Bidstrup mentions “family values” serving as a code name for homophobia. I’m sure the reader can think of many more examples. Bidstrup says that the fifth mind game is the culminated essence of all other mind games working in synergy. He calls it “the induction of dissociation”. This is the core of the religious practitioner’s experience. It allows them to dissociate the reality of the world around them from their own ideas. This mind game is the most in importance in maintaining one’s dedication and continued adherence to their faith. When you can on whim reject real world evidence and facts and substitute them for the supernatural explanations of God, you are much less likely to ever quit believing. The final two mind games are burning bridges and fear. Burning bridges refers to being cut off from the option to leave a religious group. The believer makes strong connections with other believers, which makes the potential act of leaving very difficult to manage. The bridge out is also burned by making the act of doing so a grievous blasphemy. This combines very well with the final mind game of fear, which is best known as the fear of eternal damnation. When a person is so irrevocably convinced of the truth of their soul and the precarious state in which it exists at all times, it is beyond easy to see why fear is so effective. The final piece of information that is relevant to us here is the vector by which “infection” occurs. Aside from your standard preacher and the Bible, you have countless media outlets that push religious information to the masses. Radio stations, TV shows and networks, and of course, the internet. 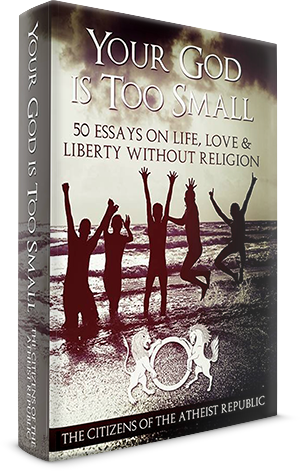 Many of us also know that growing up in a religious environment tends to make us religious, even if only for a short time as children. Family and friends have an appreciable effect in the realm of maintaining conversion. Unfortunately, in too many places around the world, the government can also play a major role in this. Bidstrup’s essay gives us some solid ground to work from in our quest to understand the religious. We have memes that act as mind games, and when synergized, they create a powerful complex that can account for most of what we see in religious reasoning and behavior. We can extrapolate how these mind games work to reinforce each other, and see why debate with the religious can become such a frustrating endeavor. We can also see why it can be so hard for people to come to the conclusion that they are indeed atheists, not to mention admitting it to the world around them. It can be frightening to consider just how virus-like religion can be. There are built in functions that account for spreading to new hosts, machinery geared toward maintaining a presence once a person is infected, and even methods by which the host can be made to resist all attempts to eliminate the virus! I suppose we should consider ourselves lucky that biological viruses are not this good at what they do. I am a student of Anthropology and Writing at Oregon State University. I am the father of two children, a boy and girl (born on the same day two years apart) and a devoted husband. My hobbies include reading, debating, writing, playing music, and the sciences. I have a love affair with metal music and Montana, where I was born and still live. I became an atheist over three years ago after I became a Mormon apostate at a young age, researched all religions extensively, and spent three years a Nordic Pagan. Tamber used to blog under the name Travis.